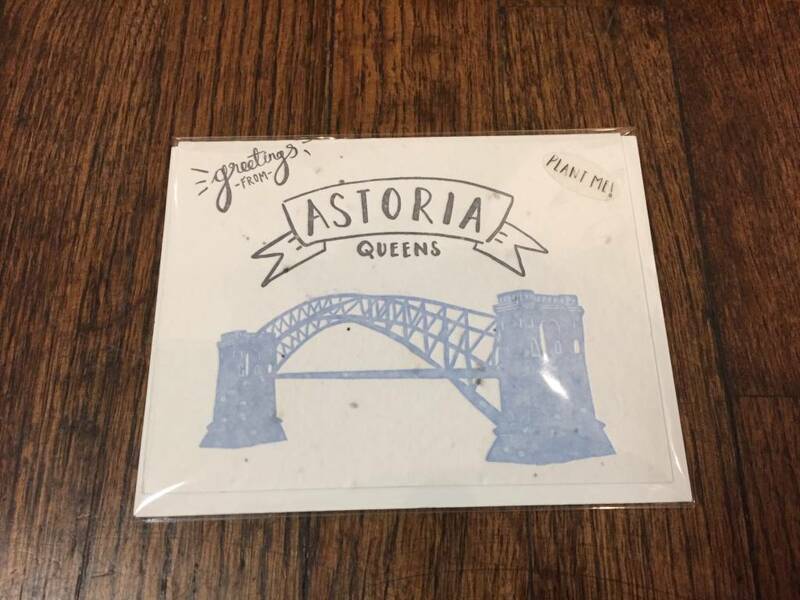 Each "Greetings from Astoria, Queens" card grows wildflowers when planted. Handmade using a recycled paper pulp embedded with seeds. Just plant the entire card, keep the soil moist, and watch for wildflowers to sprout!